Also serving communities of Falls Church. There are 18 Memory Care Facilities in the Arlington area, with 4 in Arlington and 14 nearby. The average cost of memory care in Arlington is $4,680 per month. This is higher than the national median of $4,650. Cheaper nearby regions include Alexandria with an average starting cost of $4,542. To help you with your search, browse the 9 reviews below for memory care facilities in Arlington. Better rated regions include Annandale with an average rating of 5.0 out of 5 stars. Arlington, Virginia, which is home to over 200,000 people, has a senior community that makes up nearly 10 percent of the total population. It is situated along the Potomac River in the northern region of Virginia, a state where it's estimated that 140,000 people are living with Alzheimer's disease. To support this population, Arlington offers a variety of programs and services, along with four memory care facilities. Families who are seeking further options will find more than two dozen additional facilities outside the city limits. In Arlington, memory care facilities may also be called "Special Care Units," or SCUs. An entire facility may be an SCU, or an assisted living facility may have one or more SCUs. These facilities must meet specific requirements regarding staffing, staff training, safety and security features and admission processes. 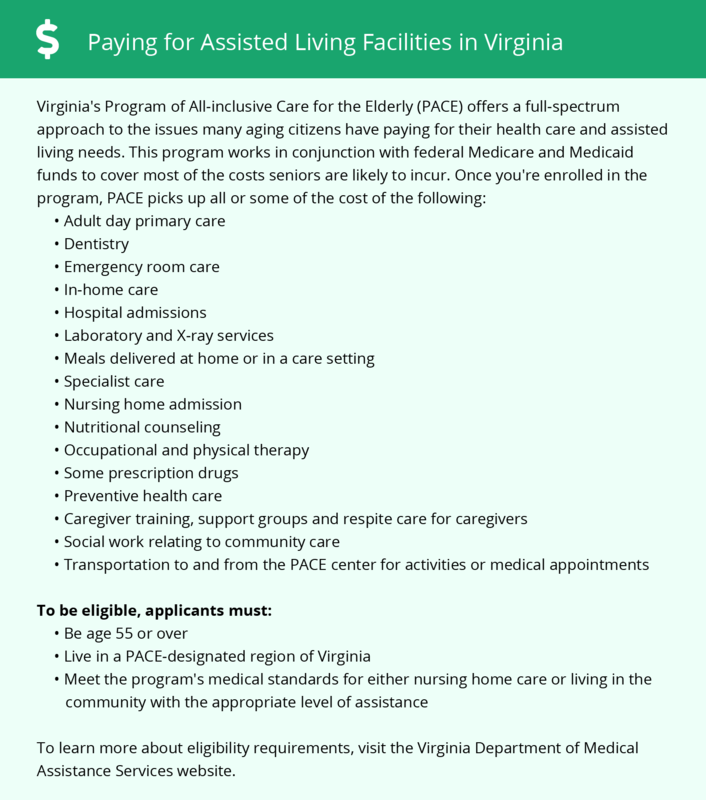 All SCUs are licensed by the Virginia Department of Social Services. The city of Arlington has partly cloudy skies year round and receives some kind of precipitation on an average of 74 days annually. Summers are hot and muggy, with highs in the upper-80s, and winters are chilly with lows in the 20s. Arlington receives just 16 inches of snow annually, which may make it easier for families to visit their loved ones living in a memory care facility. As is typical of the region, Arlington has a very high cost of living that is nearly double the national average. This is primarily due to the high cost of real estate, which may impact the cost of room and board in local memory care facilities. On the other hand, healthcare costs are about 10 percent lower than the state and national averages, which can help seniors afford the expenses associated with a chronic condition such as dementia. Seniors in Virginia do not pay income tax on their Social Security income, which can make it easier to afford memory care. While other types of retirement income are taxable, there is a $12,000 deduction to help offset the expense. Arlington is safer than 40 percent of U.S. cities. Residents have a one in 622 chance of being the victim of a violent crime and a one in 62 chance of being the victim of a property crime. Families who are helping a loved one relocate to a memory care facility in this city may want to review their chosen community's security policies. Memory Care costs in Arlington start around $4,680 per month on average, while the nationwide average cost of memory care is $4,799 per month. To see a list of free memory care resources in Arlington, please visit our Assisted Living in Virginia page. Arlington-area assisted living communities must adhere to the comprehensive set of state laws and regulations that all assisted living communities in Virginia are required to follow. Visit our Memory Care in Virginia page for more information about these laws.